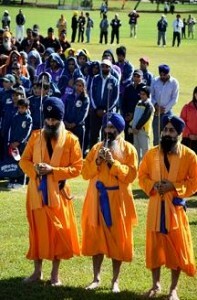 The Australian Sikh Games are the premier sporting and cultural event for the Australian Sikh community. The Games are held every year in capital cities and major regional areas around Australia.Athletes and spectators from all over the country and overseas, including New Zealand, Malaysia, Singapore, Hong Kong, Canada and the U.K. come to participate in a wide array of traditional Indian and Australian sports and related events. The Games draw crowds of up to 100,000 people over three days where during which 3,500 athletes compete in 14 different sports. There are approximately 80 Australian clubs and 11 international clubs in the organization. The Australian Sikh Games are made possible through the help of community organisations from around Australia. These organisations are normally run by volunteers who want to actively contribute to their local Sikh community while also coaching or competing in their chosen sport.The Australian National Sikh Sports and Cultural Council (ANSSACC) acts as an umbrella body of all partners organisations. Since 2016, separate registered regional ANSSACC body in each state becomes the next host and takes over responsibility for delivering the Games to a new city around Australia. This body comprises of all registered clubs with ANSSACC from that state. Key responsibilities of host organisation include community fundraising, corporate sponsorship, marketing, venue management, sports administration and equipment supply. Adelaide – ANSSACC SA INC.
Sydney – ANSSACC Syd INC.
Melbourne – ANSSACC VIC INC.
Perth – ANSSACC WA INC. The Punjab region of India is renowned for its sporting history and has a reputation for producing world class athletes. From traditional Indian sports such as kabbadi (wrestling) to adopted sports such as hockey and cricket, Punjabi people and in particular Sikhs from the Punjab, have succeeded at the highest levels. It is no surprise therefore to see that Sikhs have taken their enthusiasm for sport with them across the world. This was certainly the case in 1987 when members of the Sikh community in South Australia decided to host a friendly hockey tournament.The event not only brought together people with a passion for their sport but also represented an occasion for the wider community to celebrate its unique cultural identity, as Sikhs and as Australians. The success of the inaugural tournament, both on and off the sporting field, led to the inclusion of kabbadi and football in the following years. 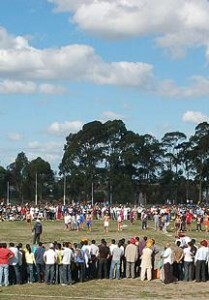 Over time, the rising popularity of these events led to the establishment of the Australian Sikh Games, held annually over the Easter long weekend. Today, the popularity of the event is such that Games are rotated between the major cities and key regional locations such as the North Coast of NSW and the Riverina in South Australia. The Games have been held in leading venues such as ANZ Stadium in Brisbane and have regularly attracted competitors and spectators from across Australia and overseas including New Zealand, Indonesia, Malaysia, Singapore, India and the UK.